When not properly maintained, carpets become filled with dirt and lose their real colours and good appearance. You can improve the quality of the indoor air in your rooms and prolong the lifespan of your carpets by having them professionally cleaned. 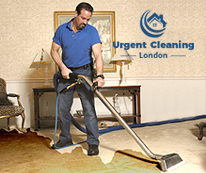 We offer inexpensive and effective carpet cleaning to the residents of London which guarantees great results. Our cleaning staff are trained to remove blemishes, dirt, stains, dust mites and soiling from all kinds of carpets without damaging their fabric. Use our great carpet cleaning services that we offer every day of the week. You can rely on our technicians to ensure the necessary cleaning and make your carpets spotless. They will check the fabric of the carpet, pre-test the detergents they intend to use to make sure they are the most appropriate ones. After that, our employees will remove the smudges, stains and dirty patches from your carpet. It will be hoovered and dry or steam cleaned. 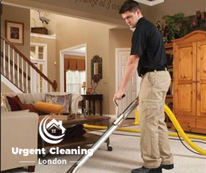 You can book the carpet cleaning which we provide in London using our call centre, online form or by sending us an e-mail. Our staff use cleaning powder, special machines with brushes and vacuum cleaners to sanitise carpets that require no use of moisture. The rest of the carpets will be cleaned with hot water extraction that is one of the most effective and long-lasting cleaning procedures.